We Are Pleased To Add An Additional Velvet Style To Our Aw18 Collection. The Perfect Dress For A Special Occasion, With Its Striking Shade Of Black Velvet Detailed With Beautiful Floral Embroidery And Delicate Lace Sleeves. 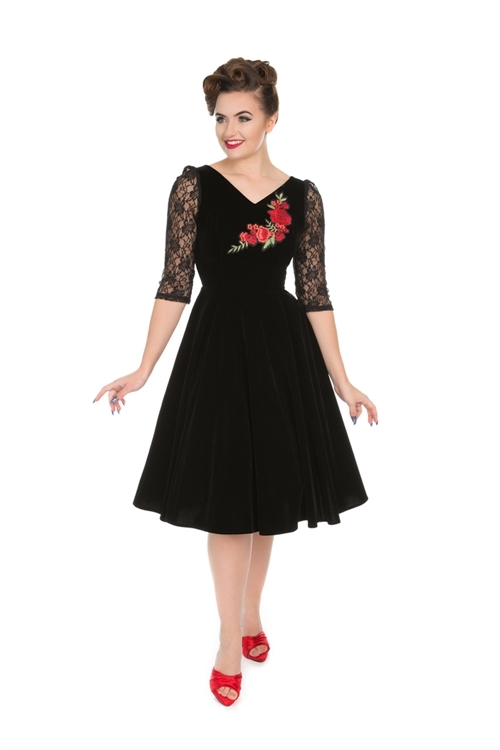 Its Fitted Bodice And Voluminous Skirt, This Style Will Have You Swinging And Twirling All Through The Winter Months.